This quote from consultants KPMG neatly sums up the incredible challenge facing quick serve and fast casual restaurants—especially in a climate of rapid acquisitions. The business has always been about getting food out quickly and efficiently. What’s different now is that exploration, optimization, insight generation and decision-making all need to happen in the blink of an eye. That means the insight function needs to shed old ways and embrace rapid and agile methods for generating insights. That’s why we developed a quick service insight menu, featuring fast fresh approaches to common needs. Our playbook, Tumultuous Times: a quick service restaurant insight menu for surviving and thriving, outlines a series of agile approaches to innovation development, testing and refinement, as well as the optimization of menuboards and mail promotions. It also introduces our Digital Eater segmentation, which shines a powerful spotlight on the rapidly changing role of technology for guests. A section on disruptive innovation reveals how clients have found it liberating to use Idea Filter early in the development process. Because you can test an idea in a minute, it is easy to assess a wide array of ideas—including those that might have been otherwise dismissed as too risky. With this flexibility, clients have been able to test and identify ideas that make a difference. A segment on our end-to-end menuboard offer takes you on a journey from exploration to evaluation and activation. From qualitative mobile missions, all the way to sophisticated choice modeling of digital menuboards, these solutions help you activate the optimal menuboard, based on consumers’ feedback. A chapter on our Mailbox Platform reveals which promotional materials work best and worst, and why. It also delivers insights into what can be done to improve them. A case study featuring a test of materials from McDonald’s, KFC and Subway illustrates how with Mailbox, you don’t just find which one is the winner—you also find out why. The piece on our Digital Eater segmentation identifies five unique schools of thought and action as it relates to digital and food. This segmentation provides a revealing lens through which to view guests and evaluate strategies and tactics. Digitization is having transformational effects on where people eat, how they order, what they eat and where they learn about food and restaurants. Changes create new winners and losers—often overnight. Owners of taxi medallions in NYC, for example, thought they had a license to print money—until Uber came along. In the world of food, UberEATS, Grubhub, Just Eat, Chefs Plate, HelloFresh and Seamless are all disrupting the landscape. Meal kit companies like Chefs Plate and HelloFresh are redefining ning the distinctions between groceries, prepared food and food delivery. The question is, what’s coming next? 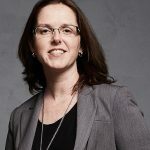 Dara St. Louis, Senior Vice President, Consumer Insights for Maru/Matchbox, a sector-focused consumer intelligence firm.